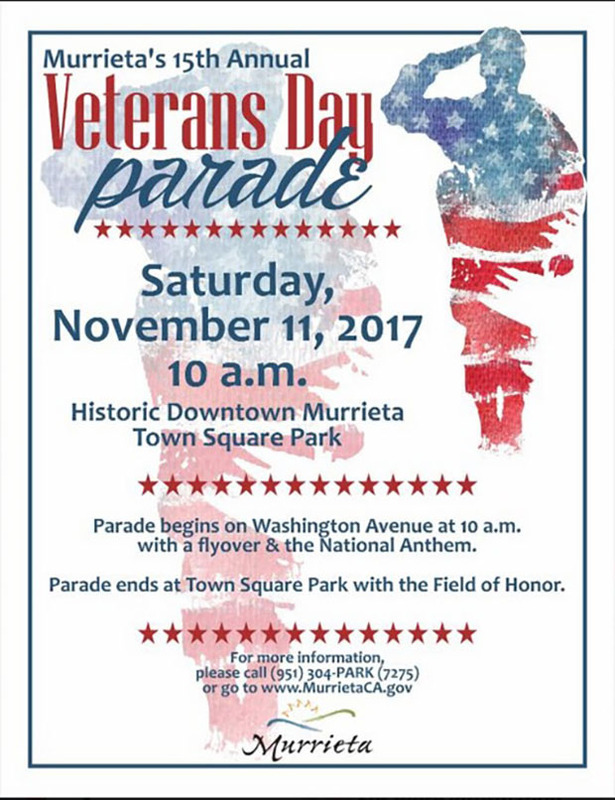 Murrieta resident and retired Sergeant Major Dee Cook, USMC, will serve as grand marshal of this year's parade. 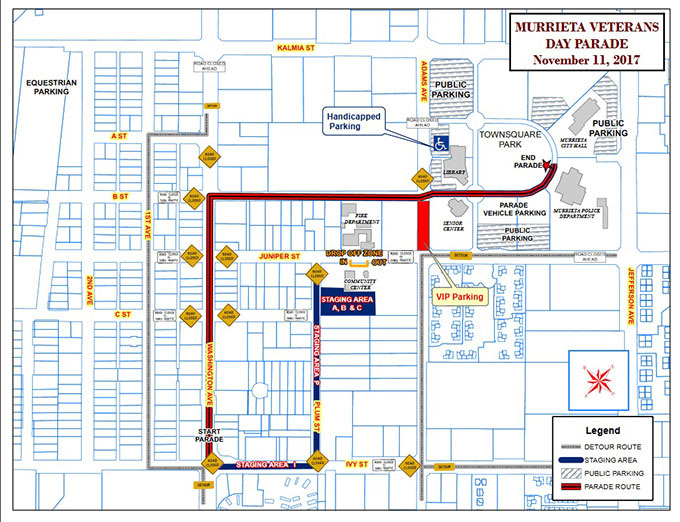 See the map below for information on street closures. For additional information, contact Community Services at 951-304-PARK.